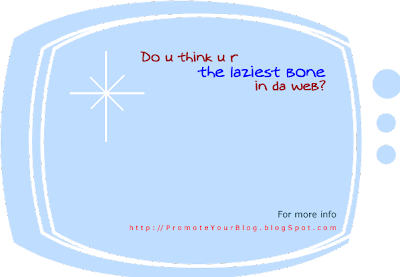 Promote Your Blog for FREE!!! The most common use of this procedure is to synchronize the internal network's authoritative time source with a very precise external time source. However, this procedure can be run on any computer running Windows XP. If the computer cannot reach the servers, the procedure fails and an entry is written to the Event Log. Internet time synchronization updates your clock on a regular basis, but only when you are connected to the Internet. It takes just a moment and should not interfere with your work. You can type the name of a time server if you want to use one that is not listed. Only time servers that use the Simple Network Time Protocol (SNTP) will work. Inserting an Internet address that uses the Hypertext Transfer Protocol (HTTP) will not work. For more information, refer to RFC 1305. You can obtain RFCs from the RFC Editor Web site. Apple Inc. last week introduced a redesign of its elegant iMac desktop computer, the machine that packs a powerful, beautiful consumer PC into the back of a generously large, bright screen. The new models are even thinner than their slim predecessors, sport an aluminum skin instead of white plastic, and have a new, flat keyboard, more power and lower prices. Apple's new iMac comes loaded with iLife '08 software. But Apple's bigger change was a major update to its iLife software suite, which comes loaded on all its Macintosh models — not just the new iMac — and can be purchased by existing Mac owners for $79. The suite includes iPhoto, iMovie, iDVD, iWeb and GarageBand — programs that help average people organize, edit, share and publish photos, videos and music. These uncluttered and intuitive programs have been best of breed, so Apple's decision to update iLife is intriguing, if for nothing other than to see what major improvements could really be made. This week I tested iLife '08 on a new iMac — the midrange $1,499 20-inch model with a 2.4 gigahertz Intel Core 2 Duo processor and a 320-gigabyte hard drive. I focused especially on iPhoto and iMovie, the anchors of the suite and the programs that got the biggest overhauls. One significant change in iPhoto is its new method of organizing photos by sorting images into "Events" according to their dates, rather than by the batch in which they were uploaded to your computer. The iMovie program underwent a more drastic overhaul, adding a library for storing all of your video clips and a new interface for organizing those clips into a movie that dispenses with the traditional timeline design long used in digital video software. Both iPhoto and iMovie now use "skimming," a rich feature that lets you scan through photos or videos just by passing your cursor over a thumbnail. And if you have an account on Apple's online .Mac service ($100 annually), both programs offer effortless one-click photo or video uploading to a "Web Gallery," where you can share your content. Videos can also be uploaded directly to YouTube without a .Mac account. Before delving into the software, a quick word about the new iMac is in order. It's an improvement on an already stellar computer, with beefed-up specs. There are four models, from $1,199 to $2,299, in two screen sizes — 20 inches and 24 inches. The base 20-inch model costs $1,199, a price cut of $300 from the prior 20-inch model. The base 24-inch model now costs $1,799, down $200 from the old model of the same size. The biggest adjustments for users will be the screen and keyboard, which took me a few days to get used to. The new iMac comes with a glossy screen, which makes colors pop but also reflects more background light than a traditional matte display. The keyboard is radical-looking. It's much flatter and sleeker than typical desktop PC keyboards. I found it easier to type with, but in an attempt to make it more like that of a laptop keyboard, Apple rearranged some built-in key functions, which was confusing at first. If you hate it, you can still use an older Mac keyboard or any USB keyboard, even those meant for Windows computers. For now, the new iMac offers only a wired keyboard. A small wireless model is due in a few weeks. I quickly picked up on how to use the new features in iPhoto and iMovie, thanks to unintimidating, self-explanatory icons. The Events feature in iPhoto might be a pain for users who are transferring numerous already-organized albums from the previous version of iPhoto into this one, as not all albums will perfectly translate into Events. But it's a great improvement over the old method — and over Windows photo programs I've tried — for organizing newly shot photos. The new version of iPhoto will look familiar to anyone who used the older version; its layout is the same, with a list of your photo library on the far left and a large display area to the right of this list. I uploaded a couple of albums at once, and each was automatically sorted into its own event because the photos from each were associated with two different dates. A few new features stand out at a glance. When photos are grouped into Events, these are neatly marked with one large thumbnail image that is selected to represent the entire pile of photos. By passing my cursor over this top thumbnail, I skimmed through all of the images in that Event in mere seconds. A button labeled Web Gallery instantly uploads images to a .Mac account, and a list of photos that are shared online appears in iPhoto. The updated iPhoto automatically groups photos into Events represented by thumbnails that make for faster photo browsing. Rather than deleting images that I didn't want in a particular Event, I selected the new Hide icon, which takes marked images away from view but notes the number of hidden photos at the top of the Event as a reminder. Hidden photos can also appear within the Event, denoted with red X marks. Double clicking on any image now magnifies it without opening editing functions, letting users quickly see larger versions of each shot. Editing in iPhoto was already straightforward, but new options provide more customization; for example, red eyes can be removed with a cross hairs (like the old iPhoto) or by using a circle that manually adjusts to match a subject's pupil size. The new version of iMovie is deliberately designed to steer away from the familiar interface most consumer video-editing programs use, which was borrowed from professional-grade software. Instead of the usual timeline of clips, iMovie employs a more free-form canvas where clips and effects can be assembled. Apple knows that this may irk people used to the traditional method, but believes it will make video editing much less intimidating for casual users. To test iMovie, I used a high-definition Panasonic video camera to capture amusing moments around my office and brought it with me to Boston for three days so I could document my sister's move into her new place (the moving guys were thrilled). In both places, I turned the camera on and off numerous times, capturing short clips. My video camera was instantly recognized when I plugged it into the iMac, prompting iMovie to generate thumbnail images of each clip. Times when the camera was turned on or off were clearly marked, and I chose the clips I wanted to import. Transferred content appeared in the new iMovie library at the bottom half of a screen, and I dragged and dropped clips to the top half of the screen to add them to a project. Clips can be selected by using your cursor to draw a yellow box around the whole clip or just a part of the clip that you'd like to use. Skimming through content is helpful here — as I moved my cursor from left to right through clips, the audio and video played in the top right of the screen, letting me see and hear footage so as to select exactly where to trim a clip. The new interface for iMovie is more approachable for everyday users, with a smart library that organizes Projects and Events into two different libraries. After dragging various clips to the top half of the screen, I added special features like music, sound effects and title slides to my project. These were all added the same way my clips were: by dragging and dropping to put the right thing where it needed to go. Music from iTunes can be used with videos, or Apple provides over 500 different sound effects and tunes. Still photos can be incorporated into iMovie using a "Ken Burns" effect (panning across a still image) to keep the video's pace moving along. And any videos captured on a digital camera that were uploaded into iPhoto can be retrieved and used from within iMovie. If footage is too dark, it can be automatically or manually adjusted, like images in iPhoto. In just about 15 minutes, I created a short movie that mashed together various clips from three days of moving. I added titles to introduce the movie, and transitions in between each clip that looked really polished. I uploaded photos and videos to the .Mac Web Gallery, checking off the privacy option (passwords can be set to limit who sees the content). Other options to check include showing titles of photos; enabling a feature that lets others upload images to my gallery via a set email address; and letting other people download high-resolution versions of my content. In one step, videos can also be uploaded to YouTube.com or transferred to your iTunes library, where they can be viewed on a PC or Mac, or moved over to an iPod or iPhone. The new programs in iLife '08 are a pleasure to use, and the new iMac is a great way to experience them. Taiwan Semiconductor Manufacturing Co. (TSMC) (2330.TW: Quote, Profile, Research), the world's top contract chip maker, said on Thursday Microsoft Corp. (MSFT.O: Quote, Profile, Research) has started using TSMC's 90-nanometre-embedded-DRAM process technology for the production of the Xbox 360 game console. "Microsoft's selection of the TSMC 90nm eDRAM process for the graphics-rich Xbox 360 is an important validation of the capability and maturity of the technology," said John Wei, senior director of platform marketing, advanced technology division of TSMC, in a statement on its Web site. TSMC has been producing 90 nanometre embedded dynamic random access memory (DRAM) since the first quarter of 2006, it said. TSMC shares fell 2.3 percent in midday trading on Thursday, outperforming the benchmark TAIEX (.TWII: Quote, Profile, Research) index, which dropped 3.90 percent by 0237 GMT. When you open a document in Microsoft Office Word 2007 that was created in Microsoft Office Word 2003, Word 2002, or Word 2000, Compatibility Mode is turned on, and you see Compatibility Mode in the title bar of the document window. Compatibility Mode ensures that no new or enhanced features in Office Word 2007 are available while you are working with a document, so that people who are using previous versions of Word will have full editing capabilities. Find this yourself at help center of MS Word 2007. You can work in Compatibility Mode or you can convert your document to the Office Word 2007 file format. Converting your document allows you to access the new and enhanced features in Office Word 2007. However, people who are using previous versions of Word may be prevented from or have difficulty editing certain portions of the document that were created by using new or enhanced features in Office Word 2007. When you open a Word 972003 document in Office Word 2007, Compatibility Mode is turned on, and you see Compatibility Mode in the title bar of the document window. In Compatibility Mode, you can open, edit, and save Word 972003 documents but you won't be able to use any of the new Office Word 2007 features. The following elements will be permanently changed when you are working in Compatibility Mode, and you cannot convert them to Office Word 2007 elements even if you convert your document later. Permanently converted to styles. If the file is later opened in Office Word 2007, you cannot automatically change the style by using themes. Permanently converted to styles. If the file is later opened in Office Word 2007, you cannot automatically change the style by using theme colors. Permanently converted to styles. If the file is later opened in Office Word 2007, you cannot automatically change the style by using theme fonts. Permanently converted to styles. If the file is later opened in Office Word 2007, you cannot automatically change the style by using theme effects. The following document elements will be changed when you are working in Compatibility Mode, but you can convert them to Office Word 2007 elements if you convert your document later. Only a limited set of diagram types is available.. Converted to images that cannot be edited. Become graphics and cannot be changed. 1. Click the Microsoft Office Button, and then click Convert. 2. In the Microsoft Office Word dialog box, click OK.
§ To replace the original file with a file in the Office Word 2007 file format, click the Microsoft Office Button, and then click Save. § To save the original document in its original file format and create another document in the Office Word 2007 file format, click the Microsoft Office Button, click Save As, and then type a new name for the file. What mouse and keyboard shortcuts can I use when working with tabs? The following table describes the mouse and keyboard shortcuts that are available when working with tabs. Among many new value added features of the Microsoft Office 2007, restriction the permission to use of many types of office documents is a notable one. You can restrict permission to content in documents, workbooks, and presentations by using Information Rights Management (IRM). For information on how you can restrict permission to content in e-mail messages, see Restrict permission to confidential information in e-mail messages in the help of your MS Office System. Most of the contents of this article is adapted from Microsoft Office Word 2007. For detail visit the help and support in the program. For information on how to set a password to open or modify a file, see Set a password to open or modify a document, workbook, or presentation. There are other articles that describe using passwords to protect formatting in documents and protect worksheet or workbook elements. Information Rights Management (IRM) allows individuals and administrators to specify access permissions to documents, workbooks, and presentations. This helps prevent sensitive information from being printed, forwarded, or copied by unauthorized people. After permission for a file has been restricted by using IRM, the access and usage restrictions are enforced no matter where the information is, because the permission to a file is stored in the document file itself. To use IRM in the 2007 Office release, the minimum required software is Windows Rights Management Services (RMS) Client Service Pack 1 (SP1), which can be installed on your computer either by you or your RMS administrator. The RMS administrator can configure company-specific IRM policies that define who can access content and what level of editing is permitted for a document, workbook, or presentation. For example, a company administrator might define a rights template called "Company Confidential," which specifies that documents, workbooks, or presentations that use that policy can be opened only by people inside the company domain. Microsoft Windows Vista : Click Programs, and then under Installed Programs, click Install a program from the network. In the list of programs, click Windows Rights Management Services Client, and then click Add. Microsoft Windows XP : Click Add or Remove Programs, and then click Add or Remove Programs. In the left pane, click Add New Programs. From the list of programs, click Windows Rights Management Services Client, and then click Add. Alternatively, when you first try to open files that have been rights-managed by using IRM, the 2007 Office release prompts you to download the Windows Rights Management Services Client. For more information about the Windows Rights Management Services Client, visit the Windows Rights Management Services Web site or search Google for more results. The first time that you attempt to open a document, workbook, or presentation with restricted permission, you must connect to a licensing server to verify your credentials and to download a use license. The use license defines the level of access that you have to a file. This process is required for each file with restricted permission. In other words, content with restricted permission cannot be opened without a use license. Downloading permissions requires that Microsoft Office send your credentials (which includes your e-mail address) and information about your permission rights to the licensing server. Information contained in the document is not sent to the licensing server. For more information, read the Privacy Statement. Authors can restrict permission for documents, workbooks, and presentations on a per-user, per-document, or per-group basis (group-based permissions require Microsoft Active Directory directory service for group expansion). Authors use the Permission dialog box to give users Read and Change access, as well as to set expiration dates for content. Most of the contents of this article is adapted from Microsoft Office Word 2007. For detail visit the help and support in the program.